The Chester marathon is nearly here – with more than 3,000 runners signed up and thousands of specators expected for the 9.00am start from Chester’s famous race course. 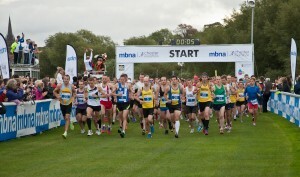 Sponsored by MBNA, the Chester marathon is also expected to raise a more than £400,000 for national charities. Race organiser Chris Hulse said: “The MBNA Chester Marathon is now established as one of the best marathons in the UK and we’ve achieved this by making sure we host a fantastic event in a superb location. The race will start from the Rodee racecourse, pass many famous Chester landmarks before travelling into Wales and back via some of Chester’s prettiest villages. Along with the 3,000+ runners, thousands of spectators are expected to create “a really fantastic atmosphere all around the city” said Hulse. In addition to runners and spectators, more than 500 volunteers, including 50 from race sponsor MBNA, have committed their support to this year’s event and will help run drinks stations and marshal the crowds at various points across the 26.2 mile course. The aim of the Chester marathon is to become an iconic regional race. However, don’t fear, if you are not yet ready for 26.2 miles – how about 1 mile? Young runners are also encouraged to join up for the mini marathon – accompanied by mum or dad – and run around the Chester Racecourse?